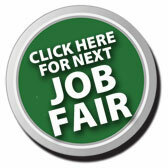 OmahaJobs.com specializes in targeted marketing to job seekers through an array of websites, live events and publications. Owned by Pioneer Publishing, a multi-ethnic, multi-media company based in Omaha and operated by “Your Membership,” Omahajobs.com brings jobseekers and employers together. Our other active websites include el-perico.com, TheReader.com and PioneerMedia.me. We are committed to advancing the career process. For how to post a job position or use OmahaJobs.com to find your next top employee, contact Clay Seaman today. For technical or website fulfillment issues, please email us at Help@OmahaJobs.com.